Tap into every industry to generate new customers for your advertising campaigns and carve out a significant market share with B2B Email Listz. 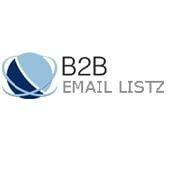 At B2B Email Listz, we take the systematic approach to materialize the best lead generation results. Our data center is a core of innovation where data tracking practices are still a far cry from others. We look past obvious interpretations to harness superior data that is uniquely adaptive to a mixture of marketing programs. Our idiosyncratic research methodologies can help you target any business verticals with tremendous accuracy. Data is one side of our multifaceted business. B2B Email Listz is a familiar name within B2B marketer’s realm because we embolden sales team to take a competitive stand in the shrinking markets. Our marketing intelligence is chosen to serve as catalysts in lead generation programs. We are specialists in compiling segmented mailing lists that supplements personalized engagement with consumers. We are also experts in data management where you can avail a 360-degree assistance to wholly manage your mailing lists and campaigns. Our data center is a core of innovation where data tracking practices are still a far cry from others. We look past obvious interpretations to harness superior data that is uniquely adaptive to a mixture of marketing programs. Our idiosyncratic research methodologies can help you target any business verticals with tremendous accuracy. Data is one side of our multifaceted business. Besides, we are experts at brand positioning as well. With a team of seasoned marketing campaigners, we concentrate our efforts on bringing your campaigns to the notice of stakeholders with extraordinary impetus. Marketing services that we offer can help you in all aspects of lead generation and sales. To further your awareness about our Services, call us on +1 866–725–7678, Or, you can drop in an email at info@b2bemaillistz.com.